If you like to use catchy catch phrases like “Fruit Maven is the new black“, then this is the fruit for you! 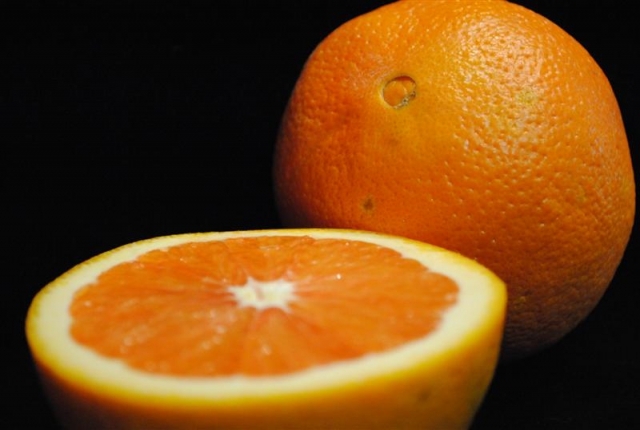 Regular looking orange skin, regular orange size, pinkish salmon colored flesh (not quite as pink as a ruby red grapefruit, but close) with very few little tiny seeds. 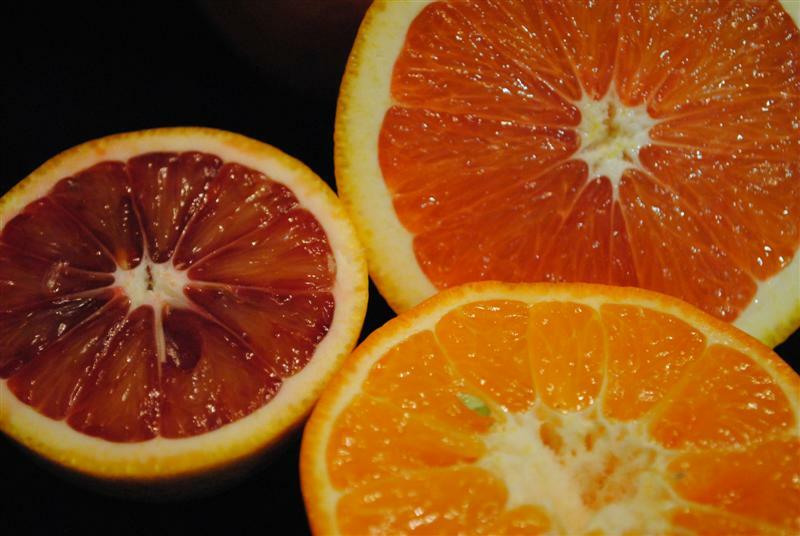 Juicy (this is the first word for pretty much all citrus, if you are eating citrus that isn’t juicy – please, please just choose a different one, there is no reason for that), soft flesh, few unnoticeable seeds. 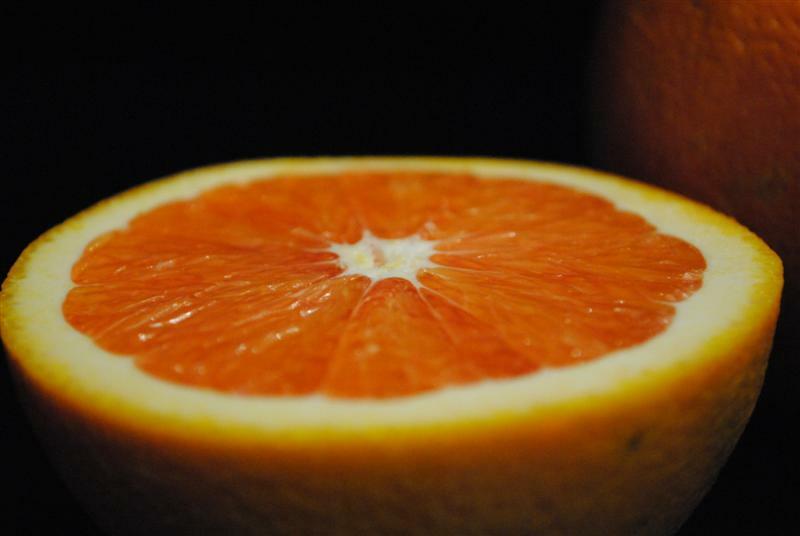 Only slightly acidic, enjoyably sweet – everything that an excellent orange should be. I’ve been seeing Cara Caras in every grocery store and at all the farmer’s markets. Apparently they are the hot new thing in citrus for the masses. The sticker on the orange when I picked it up at the grocery store said “Pink is the new orange”. Looks like it might just be true. Trader Joes sells these in a 5lb box! They are Awesome!